External layer of the slippers is CREAM WHITE, insole is TAN BROWN. 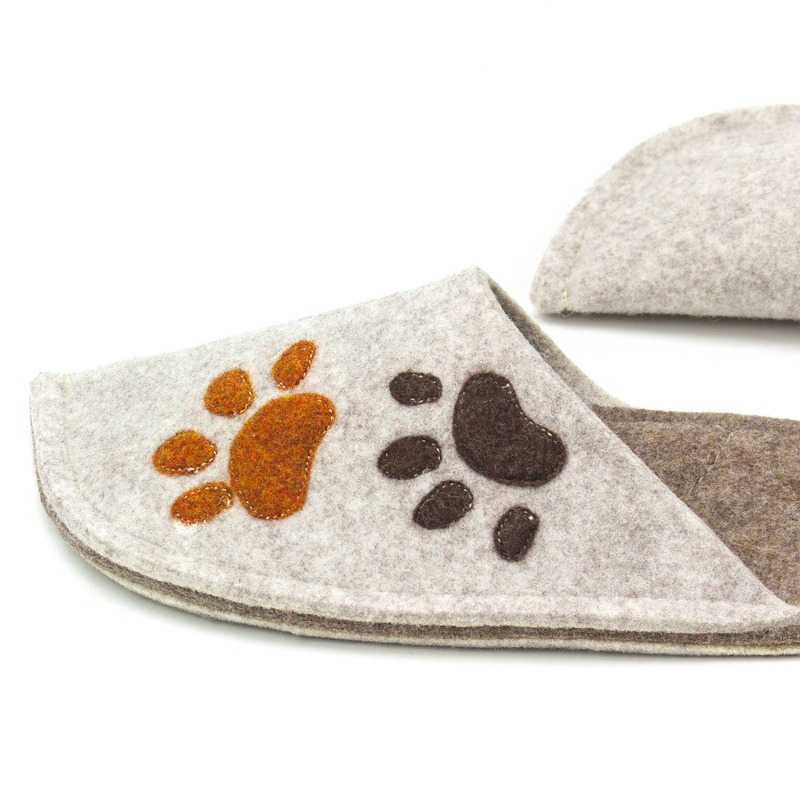 Dog paw patches are DARK BROWN and ORANGE. 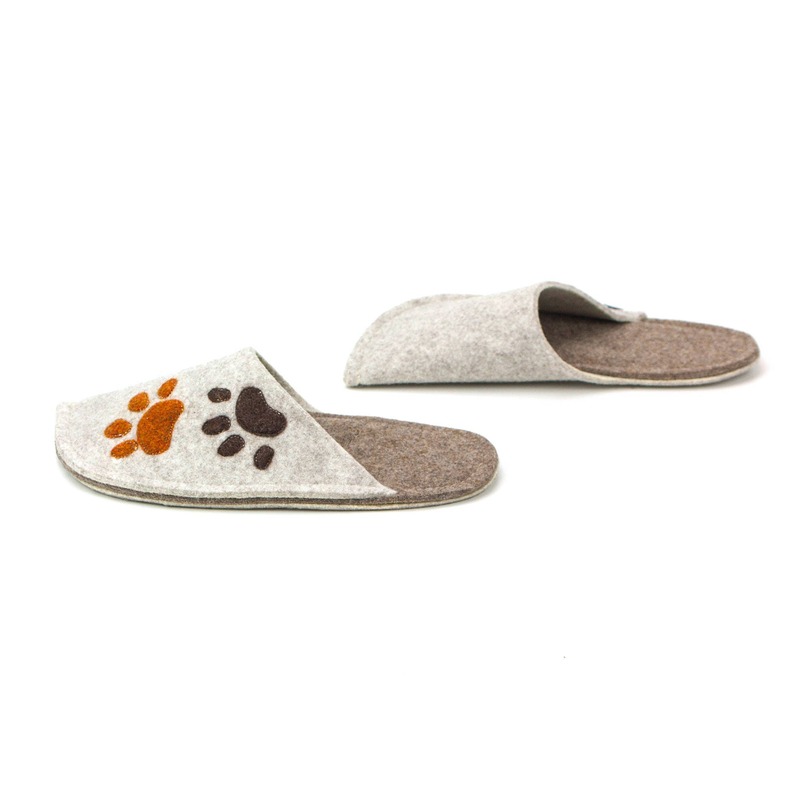 You can buy slippers with or without the patches. Any beautiful product - especially if it is entirely handmade - deserves to be taken care of. 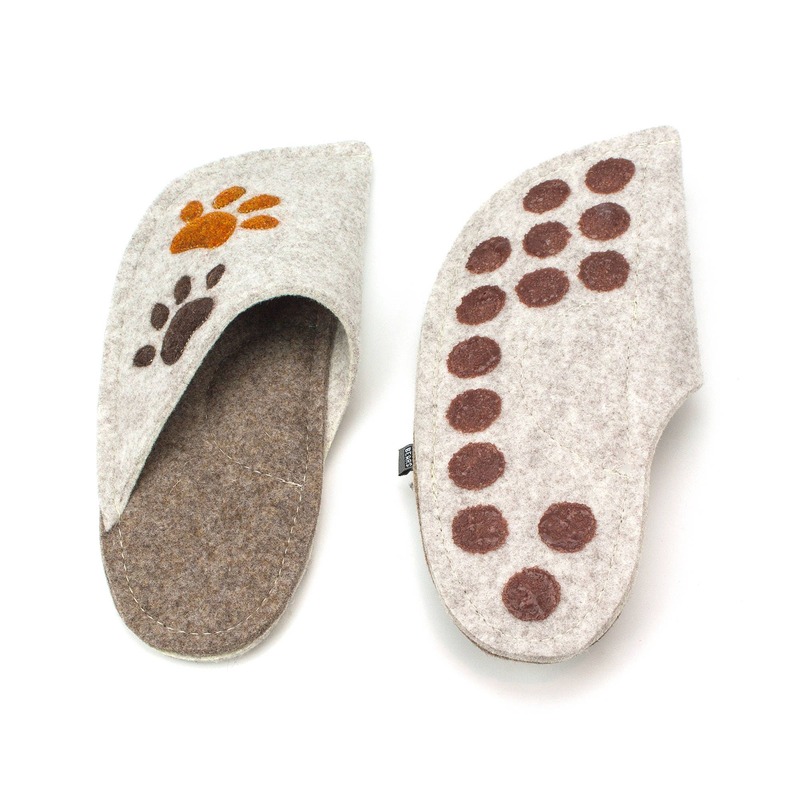 Brushing the slippers with warm water from time to time will keep them smiling for a long time. Avoid using cleaning detergents of all kinds. 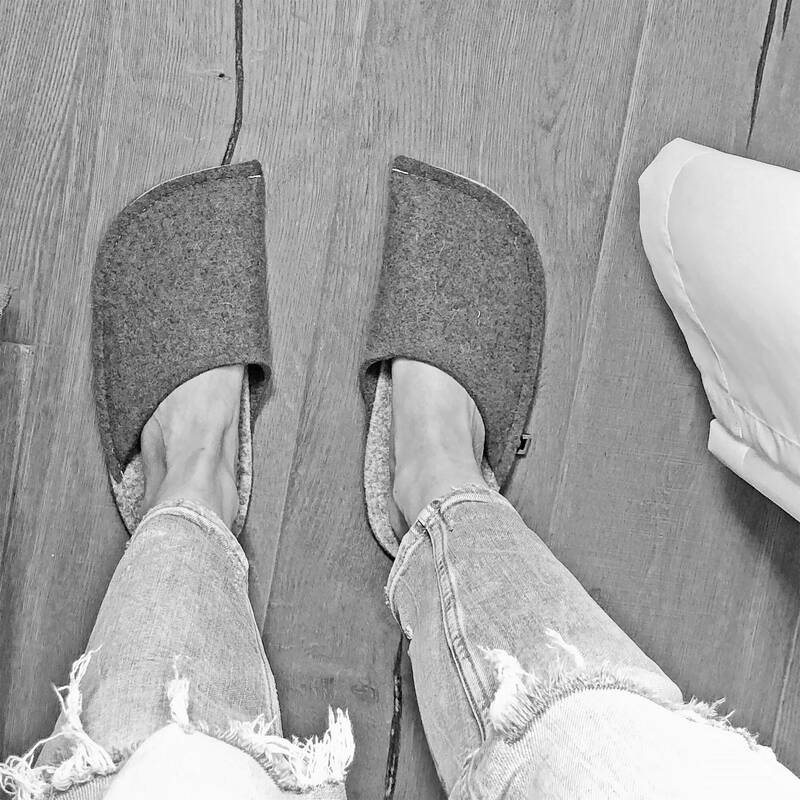 After that just let the slippers breathe for some time, so they completely dry out. 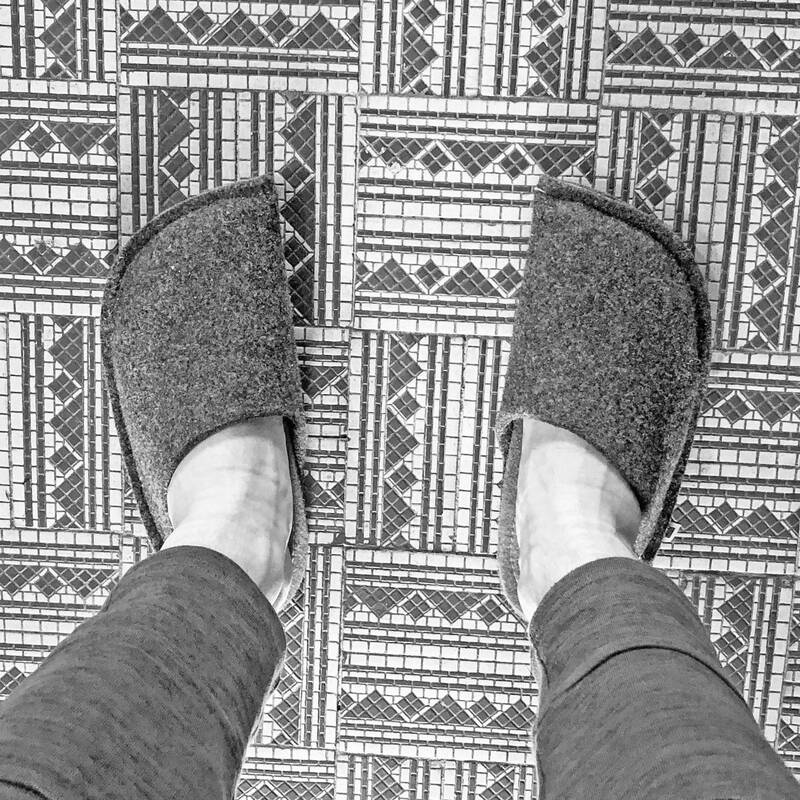 Vacuum cleaning the soles of the slippers from time to time is recommended to keep them clean. 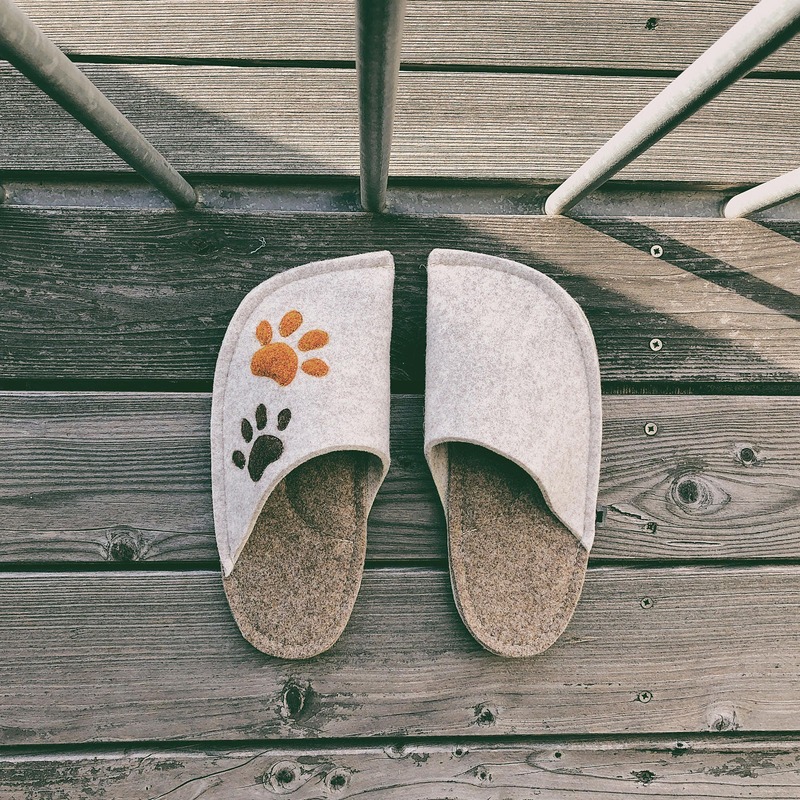 Avoid machine washing the slippers unless they are very dirty and brushing them with warm water doesn't do the job. 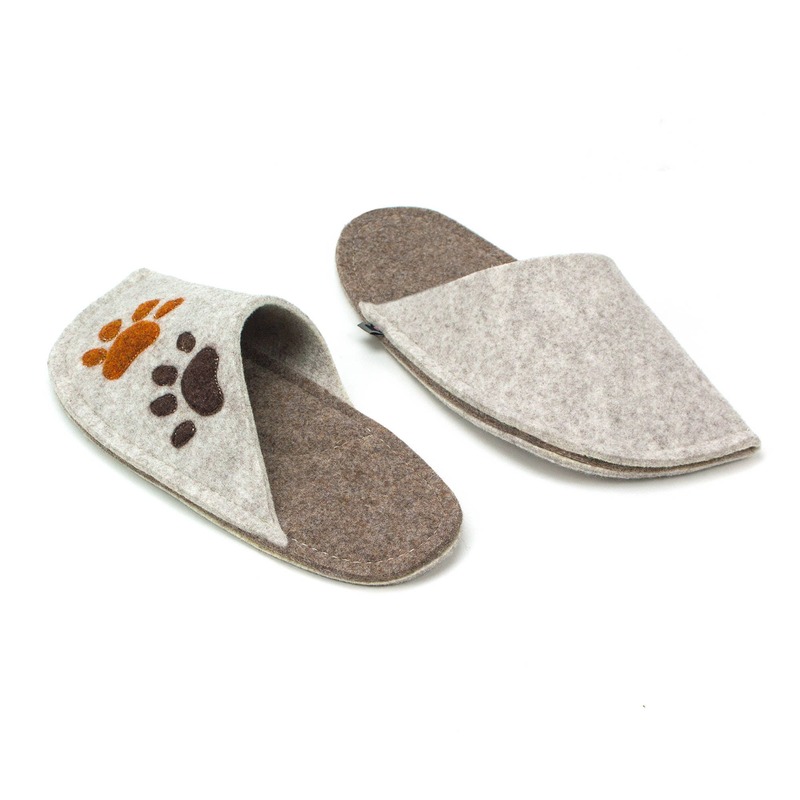 In this case, hand wash the slippers or wash them in a washing machine on a very low temperature (max. 30°C - wool program) using mild wool detergent.